Join us for a day on, not a day off! Each year on Martin Luther King, Jr. Day, volunteers across the nation donate their time and energy towards helping others and strengthening their local communities. 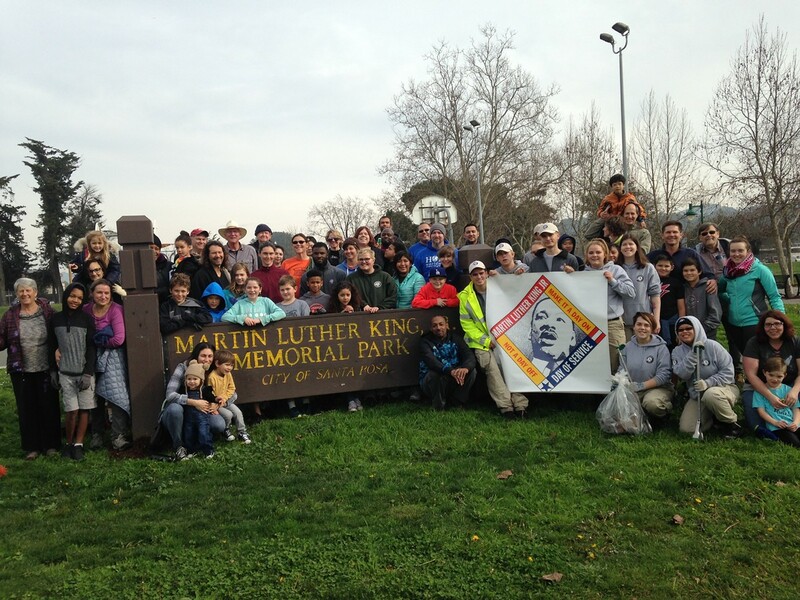 Santa Rosa Recreation & Parks is hosting a clean-up at MLK Park, where volunteers can help beautify this neighborhood park through tasks such as litter pick-up, spreading mulch, weeding and more. Tools and light refreshments will be provided. Bring your family and friends - we'll see you there! Note: this event will be held rain or shine!